Martin Major is an Executive Vice President of IRG with responsibility for overseeing East Coast acquisitions and operations. Mr. Major is also a member of the IRG Board of Directors. Mr. Major previously served as President of ICON Parking, New York City’s largest parking garage company. His responsibilities at ICON included the handling of the company’s complicated acquisitions, divestitures and financings. ICON, originally a family-owned business, was transformed under Mr. Major’s supervision into an institutionally owned and operated company. Prior to his position at ICON Parking, Mr. Major was managing partner of a 15 attorney Manhattan law firm. 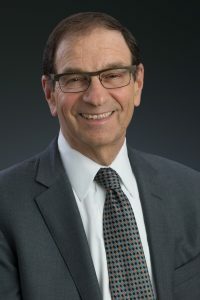 Mr. Major specialized in sophisticated tax planning and deal structuring and prior to his retirement from the practice of law was a member of the New York State Bar Association. Mr. Major is a New York City native, graduated from City College of New York (BA), Brooklyn Law School (LLB) and New York University Law School (Masters in Tax Law).